Big Data was a Big Topic at this year’s DIA Annual Meeting, and continues to be an area of interest and investment across the life sciences and healthcare industries as organizations seek to further integrate new data streams and real-time analysis into clinical R&D. 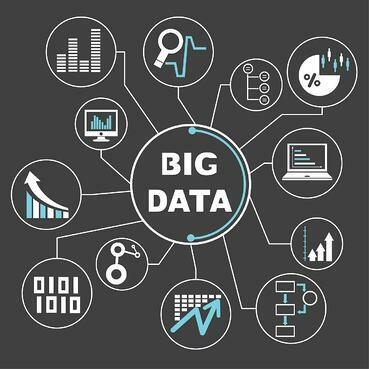 Data collection, management and analysis are at the crux of everything we do here at BBK, and our clients are keenly interested in how to manage and optimize Big Data. We interviewed Brian Overstreet, CEO of Advera Health Analytics, a leading healthcare informatics company, to get their take and to see how access to meaningful data is helping to push healthcare forward. What does Advera Health Analytics, as an organization, aim to provide to the healthcare space? Advera Health provides broad-based drug evidence aggregation for comparative safety and efficacy purposes, based on proprietary data mining, curation, and analysis. As we’ve seen over the past few years, Big Data has disrupted the normal means of discovery and analysis across the healthcare space. But access to data and being able to draw meaningful and actionable intelligence from those data are two very different things. At Advera Health, we start by providing our clients with access to unique datasets that they haven’t been previously able to easily access and link those data together through an intuitive user interface. To that we add a series of peer-reviewed and published analytic tools. This enables our clients to not only quickly gain access to data, but also pull out meaningful and scientifically valid actionable intelligence on comparative drug safety and efficacy. While our main clients are at the institutional level in managed care and pharma, we continue to keep the patient at the center of our focus. Everything we do is tied to improving patient outcomes. We think that our broad-based, data-focused, and patient-centric outlook is what sets up apart from many others in this space. What are some of the roadblocks that sponsors and other healthcare organizations typically find in utilizing data? There are many – from the technical to the practical. Simply having access to more data doesn’t solve problems. Having the ability to easily access data while at the same time having the tools and mechanisms in place to analyze those data and draw actionable intelligence from those data is really the main stumbling block. It’s our job to make that process as seamless and easy as possible by making it easy for our clients to interact with our data. By keeping an open mind, we can work with our clients to find unique solutions through data feeds or APIs, coupled with licenses to distribute the data outside of the organization. Beyond the technical issues, there are sometimes practical ones that are just as flummoxing. In many cases, gaining access to modern data analysis tools can be complicated for clients who are constrained via organizational mandates to use outdated desktop or browser software that doesn’t interact well with modern programming languages. That can be especially frustrating for them and for us. As the clinical research industry becomes increasingly patient centric, key stakeholders are looking for better, more expedient ways to provide patients with a meaningful understanding of the research to which they contribute. What role does technology play in improving patients’ understanding of the treatment landscape? I think technology has the biggest role to play in this regard. There are so many studies being done globally that it’s extremely difficult for professionals and other industry watchers to keep track of the data that is being released and nearly impossible to understand the impact of those results. Often, patients who participate in a trial need to wait years until they know if what they contributed to was a success. To continue to recruit patients that sponsors need, it is increasingly vital to ensure the efficient dissemination of results and data. The government has made an attempt in moving data dissemination in the right direction with the ClinicalTrials.gov database, but anyone who has spent any meaningful time interacting with that site will tell you how frustrating it can be. This is one of the main reasons that we launched an effort earlier this year to curate all of the data points being reported at ClinicalTrials.gov and supplement it with published study results from various journals and meetings. All of this annotated data is captured in a way that allows it to be presented in an easy-to-use and easy-to-access format. I think with better access to those data at all levels of the healthcare system, it will be easier for sponsors, healthcare decision makers, and clinicians to communicate updated and comprehensive information to trial participants, and ultimately to patients once the drug is on market. How do you see new data streams and increased data transparency contributing to the improvement of clinical R & D? There are two real angles to consider. The first is the traditional evidence generation space, what most sponsors would call Health Economics and Outcomes Research (HEOR). The more evidence that is being demanded by payers and managed care organizations on a drug’s safety and efficacy, the more attuned sponsors are to ensure that the appropriate studies, both interventional and observational, are being conducted. This in turn will lead to better research, earlier in development. The second angle is in R&D itself. This is an area that we’ve started to really explore the possibilities of our data assets. It has long been a goal of the R&D community to be able to better take the safety and efficacy results seen in randomized controlled trials and the real world, and translate those back to creating better new drug candidates in the pipeline. But there are many challenges – getting access to those data, understanding how to curate those data, building the analytic tools to enable the actionable intelligence needed to derive those findings, and more. We’ve come a long way over the past few years at Advera Health toward cracking that code and I think we’re well on the way. Having access to more and better data is certainly step one, but being able to understand those data and take action on them is really the Holy Grail that we’re all searching after. At BBK, we will continue to follow the trajectory of Big Data analytics as it impacts our own work in patient recruitment and engagement and becomes more fully integrated into the processes of clinical R&D. Check back on the blog for more news on this topic, and follow us on twitter at @bbkworldwide.